A Pentagon watchdog charged with oversight of the National Security Agency said he was “not aware” of its bulk phone records collection until it was exposed in June. 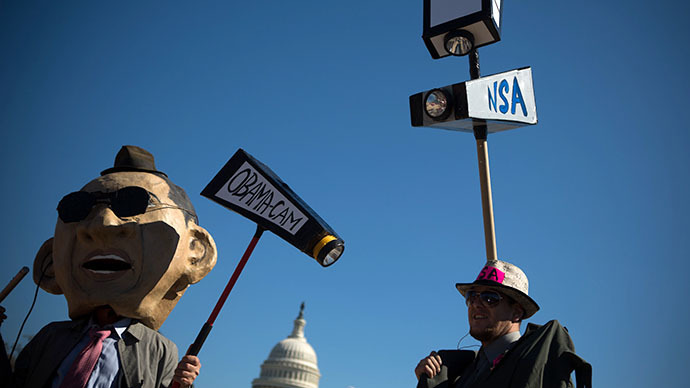 Furthermore, he said his office is not investigating the agency's surveillance policies. Anthony C. Thomas, the deputy Defense Department inspector general for intelligence and special program assessments, told reporters at the Pentagon that he “can’t quantify” how much oversight he conducts in regard to the NSA. 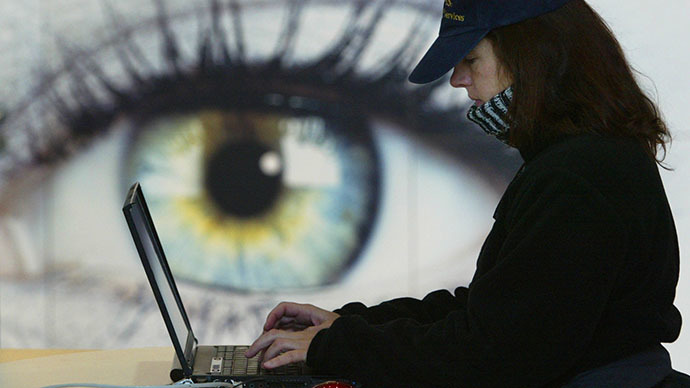 “The bulk of that is in reviews that we have done, and in the collaborative work that we have done with the NSA [inspector general],” Thomas said, according to the Guardian. “From my own personal knowledge, those programs, in and of themselves, I was not personally aware,” Thomas said. 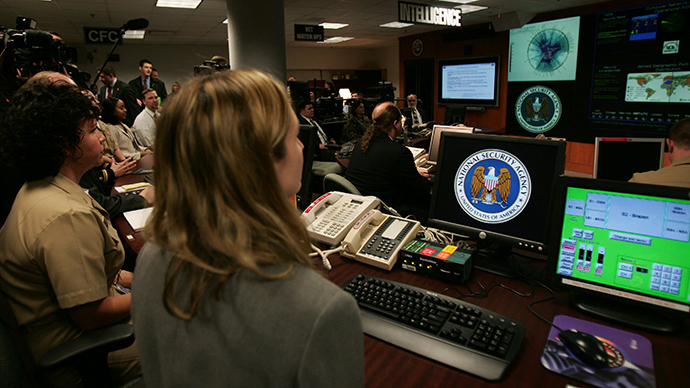 Since June – when news outlets first published proof of the agency’s vast domestic phone records collection program based on material leaked by former NSA contractor Edward Snowden – US officials have repeatedly assured the public and lawmakers that the NSA’s sprawling, global surveillance empire came with proper safeguards and adequate oversight, including from the Pentagon’s inspector general. Thomas said he’s able to see the NSA’s own “plans” for reviews and investigations through defense-associated intelligence inspectors general forums. “That doesn’t mean that the DOD IG is saying: ‘well, if you look at that, we won’t look at that.’ Certainly not, but it’s more of an ongoing relationship … a constant discussion,” Thomas said. “If the NSA IG is looking into something and we feel that their reporting, their investigation is ongoing, we’ll wait to see what they find or what they don’t find, and that may dictate something that we may do. In the course of a planning process, we may get a hotline [call], or we may get some complaint that may dictate an action that we may or not take,” Thomas added. Thomas added Tuesday that he would have listened to Snowden’s concerns about the scale of NSA spying had the whistleblower contacted his office. “If Edward Snowden had called our hotline, there would have been a robust look at his allegations,” Thomas said. NSA spokeswoman Vanee Vines would not answer questions regarding any NSA reviews or investigations by the agency’s Office of the Inspector General. “The NSA OIG does not comment on investigations or reviews that it has opened. The Office does have a division dedicated to intelligence oversight, and it does have reporting obligations to the Congress and the President’s Intelligence Oversight Board,” Vines said, according to the Guardian. Shortly after Thomas’ comments at the Pentagon, the Washington Post – citing Snowden documents – wrote that the US-administered surveillance program MYSTIC is capable of recording “100 percent” of the contents of each and every phone call in a foreign country. 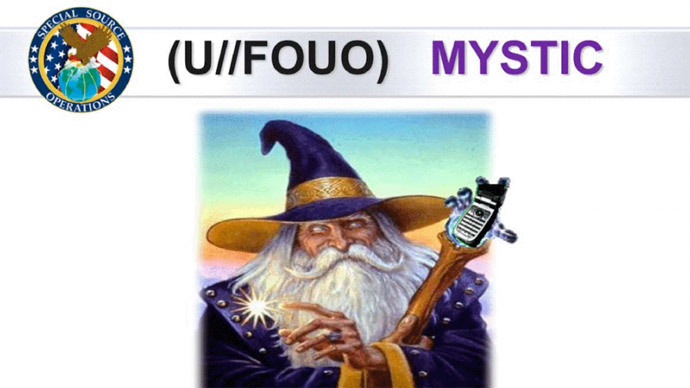 MYSTIC and its “retrospective retrieval” tool known as RETRO can store “billions” of phone discussions for 30 days, and the oldest conversations are purged as new ones are logged. 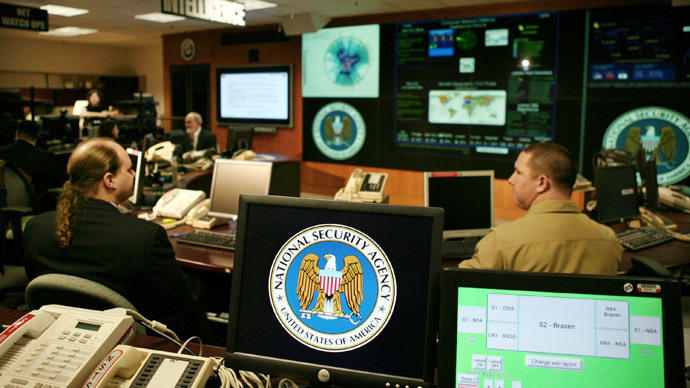 Once the content enters the NSA’s system, however, analysts are able to go back and listen in as much as a month later to find information on a person who might never have been suspected of a crime at the time that their initial conversation was collected, unbeknownst to them, by the US government. Since the first Snowden-fueled revelations appeared in June, US officials have maintained that the NSA is properly overseen, like any other federal agency. In October, before the House intelligence committee, outgoing NSA director Keith Alexander ran through the various watchdogs in his universe, including that of the Defense Department. President Obama vowed some reform to US surveillance operations in January, though it is unclear if any actual substantive change will occur.